Western culture, in general, exhausts the stomach-spleen. A heavy reliance on wheat and dairy, too many cold, raw foods, eating on the run at irregular hours, sedentary lifestyles, and large amounts of unmanaged stress and anxiety are classic of much of American culture, and are all extremely disruptive to the spleen. Antibiotics and other medications add an additional level of stress. Energetically, antibiotics are cold and dampening, the exact opposite of what the spleen needs. Those of us dealing with Lyme – or any other chronic health issues, for that matter – are prime candidates for spleen qi deficiency. We tend to suffer more than our fair shar of anxieties about our health, our relationships, our futures, and our finances. Our physical symptoms may make it hard for us to sleep enough, get proper exercise, or eat at regular times. Because we don’t feel well, we may not participate in activities that bring joy and laughter as often as we’d like, making us sad, and leading to dwell and ruminate on feelings of loss and grief for the life we once knew. We take lots and lots of pills, including antibiotics, antifungals, antidepressants, anti-anxiety medications, thyroid medications, various herbal and botanical medicines, and a whole slew of other supplements to treat the side effects caused by Lyme. We feel overwhelmed and stressed, but feel too exhausted to do what we need to do to release that stress. Our tired spleens make us feel more anxiety, and more anxiety further exhausts our spleen. In short? Your digestive troubles, anxiety, habits and thought patterns that you just can’t kick, and feelings of being stuck, exhausted, fatigued may have a lot to do with your spleen. See that onion up there? That's just one way to give your spleen a little TLC. You see, one of the easiest ways to support the spleen is by making dietary choices that are stabilizing and nourishing to the Earth element. By supporting our spleens, we can help restore balance and reduce other symptoms. The spleen is associated with the the earth element. It likes to be warm and enjoys sweet flavors and regularity. It needs to be grounded and centered. A qi deficient spleen is often cold, exhausted, and dampened, caused from a variety of factors from antibiotic use to stress and anxiety to improper diets with too many simple carbohydrates, an excess of animal products, and lot of sugars. Traditional Chinese medicines runs on the basic idea that one should use “equal opposite” stimulus to treat a condition. So, with that as the idea, you have to invigorate, dry, and warm that little spleen of yours back into shape. Here are some general spleen strengthening pointers. These are things that everyone should do, but especially those of us at higher risk for spleen qi deficiency. Basically, if you’re stressed out, chronically ill, and have some digestive issues, you could probably use some spleen strengthening. Eat slowly, chew well, and eat at regular times each day. ‘Nuff said. Do not drink large amounts of liquid with meals. Not only does liquid dilute stomach acid and make it harder for your stomach to break down food, it also overwhelms the spleen qi. Drink only enough water to take medications with meals, or a small cup of warm tea, miso soup, or broth. Include warm broths, soups, and stews in your diet regularly. Warm soups and cooked vegetables are easy for the body to digest, and the nutrition is easy to assimilate. this is especially good if your digestion is severely compromised or you are very sick and weak. Try cooking vegetables together for a long time in a crock pot, and then puree using an immersion blender or blender. Since the food will already be warm and pureed, it will give your body less work to do during digestion. Focus on a vegetable-based diet. Reduce or eliminate your intake of processed foods, sugar, wheat, and excessive animal products. Make at least 50% of your plate vegetables at every meal, a mixture of cooked and raw. Choose meals that are easy to digest. Use simple food combining principles to ensure effective digestion, especially if your digestion is compromised. There are lots of ways to approach food combining from very strict to very loose; you have to find what works for you. For me, I find I feel best when I avoid eating grains with meat, only eat fruit alone on an empty stomach (if fruit is agreeing with me at all, that is), and do not eat too many starches in one meal (rice+beans+squash=ugh). Do not eat an excess of raw or cold foods, as well as cold drinks and frozen treats. Raw foodists will disagree with this philosophy, but too much raw food can deplete your digestive strength. Despite the excellent enzymes available in raw and live foods, it is also harder for the body to break down, especially if you have weakened digestion due to illness, irritable bowel, or leaky gut. Raw foods force the body to work harder to literally heat up the food before it can be digested, using more digestive energy. Cold drinks and frozen treats (like ice cream) are a shock to the digestive system, and can wreak havoc. Like all things, it is a matter of balance and listening to your own body. All foods – from animal products to herbs and spices – have an energetic component. With that in mind, here are some foods that are energetically super beneficial for stabilizing the spleen. Soaked and well-cooked whole grains: oat, sweet rice, quinoa. Properly prepared whole grains are very stabilizing and grounding, and provide a good source of complex carbohydrates. Complex carbohydrates are digested by the body more slowly, and provide a stable source of energy. Cooked, starchy vegetables: parsnips, yams, sweet potatoes, beets, carrots, rutabaga, turnips, pumpkin, winter squash. Root vegetables and winter squashes are especially important, as they grow in and on the earth, and are slow growing, sweet vegetables that have high amounts of concentrated energy. Peas and legumes: peas, garbanzo beans, black beans, azuki beans. Always be sure to soak your beans before cooking them for improved digestion. 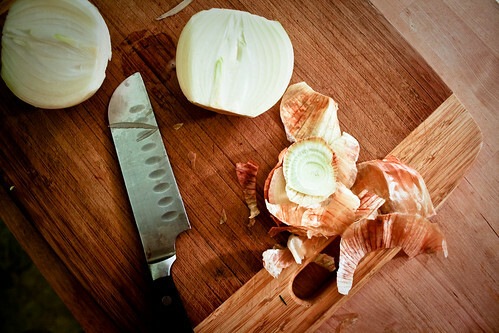 Pungent vegetables and spices: fennel, ginger, nutmeg, cinnamon, black pepper, leek, onion, garlic, nutmeg, chives. These vegetables and spices are very stimulating and warming to the digestive system. Small amounts of sweet foods (if tolerated only! ): cooked apples, prunes, figs, cherries, dates, brown rice syrup, molasses, brown rice syrup. The spleen likes sweet flavors, but use in moderation (if at all). Animal products: mackerel, tuna, halibut, anchovy, beef, beef liver or kidney, chicken, turkey, lamb, butter/ghee. Moderate amounts of animal products can be extremely nourishing and warming to the system, especially for those who are weakened due to long term illness. If you have a hard time with carbohydrates or sugars, you may be raising an eyebrow at the suggestion of cooked grains, starchy vegetables, sweeteners, or fruits. Like anything, dietary recommendations must be approached moderation. Even for the healthiest individual, too much of any one kind of food can further upset the balance, and throw things off in another direction! For those of us with additional sensitivities, we need to use our intuition to make wise choices, and cautious moderation is key. The spleen likes regularity and balance, after all! I know, for example, that in theory, figs and prunes and baked apples will strengthen my spleen. But I also know that the simple sugars will throw my Candida into a tailspin. So, I avoid the fruit and instead opt for sweet flavors of squash and beets, which my body handles better. Sugars can suppress the immune system, and can feed unwelcome bacteria, thereby counteracting the spleen-strengthening qualities of the sweet foods, and causing a new problem, referred to in Chinese medicine as dampness. Dampness is what we know as yeast overgrowth conditions (Candida!) or other bacterial or fungal imbalances. If you’re on antibiotics, you especially need to be concerned about this! For those of us dealing with that tricky dampness, there are a few other foods that can help reduce restore balance. Some of these have naturally antimicrobial qualities, and can help dry up that dampness. I know cooking can be hard if you don’t feel well, so focus on things that are simply prepared and don’t involve a lot of work. Here’s a few very simple recipes to get you started. These recipes are nothing fancy, but provide basic ideas for incorporating spleen-strengthening foods into your diet. Since many of these are starchy, sweet vegetables, use them in moderation if you are on antibiotics or following an anti-Candida Albicans diet protocol. If eaten in excess, these foods may aggravate your condition. But used in moderate amounts, these are powerful foods for supporting the spleen and strengthening the digestive system. However, I’m not a doctor, and if you have concerns, you should consult with your care provider about any significant changes in your diet. Wash and peel carrots, and slice, or use ready-to-eat baby carrots. Place carrots in a steamer basket over boiling water. Cover, and steam for 5-7 minutes, or until carrots are tender. Remove from heat and transfer to serving bowl. Add a dollop of butter/ghee or a drizzle of olive or coconut oil, and a sprinkle of salt or umeboshi plum vinegar. Sprinkle with desired seasoning, and serve. Steaming carrots makes them lower in sugar than baking, and is a good choice if you need to watch your carb intake. Steam carrots as directed above, but steam until very soft. Remove from heat, then place in a bowl and mash with a potato masher. 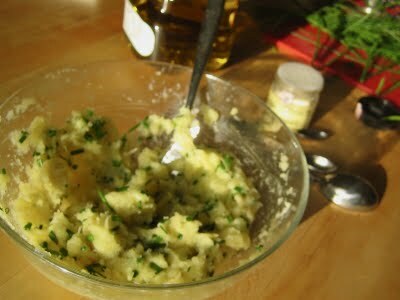 Or, for a smoother mash, place in a blender or food processor with some of the steaming water and process until smooth. Add fresh herbs, a dash of cumin and cayenne pepper, or a blob of miso paste. Add a little butter/ghee/olive oil/coconut oil/sesame oil if desired. Serve! Substitute part of the carrots with parsnips, and prepare as directed. Substitute part of the carrots with rutabaga, and prepare as directed. Garlic-Chive Parsnip mash makes your spleen smile. Steam carrots as directed above. Place in a blender with a small piece of fresh ginger and 2 cups broth, and blend. Add more broth as necessary to reach desired consistency, depending on quantity of carrots! Season with salt and pepper, and transfer to a pan. Heat to a simmer until heated through, and serve. If desired, add a bit of miso before serving for additional benefit. Preheat oven to 400º F and get out a baking sheet. Peel parsnips and slice into long pieces, like french fries. Place on a baking sheet, drizzle lightly with olive oil, and sprinkle with salt and pepper. Bake 25 minutes, stirring occasionally, until golden and crispy. Remove from oven and serve. VARIATIONS: Sprinkle with digestion stimulating curry powder, ginger, chili powder, or a dash of cayenne pepper. Preheat oven to 400º F and get out a 9×13 pan. Wash squash, and slice in half. To make it easier (if you use a microwave) you can puncture squash a few times and place whole squash in microwave for 1 minute – it will soften it slightly and make it easier to slice. Scoop out seeds, and place cut side up in cake pan. Pour about 1-2″ of water into the cake pan, and place in the oven. Bake for 45 minutes-1 hour, until squash is tender and soft. Remove from oven. Scoop out squash flesh and mash. Or serve as is, like if baking acorn squash. Serve with a dash of cinnamon, ginger, nutmeg, coriander, or a little curry powder for an ultra-warming treat. Scrub outer skin of kabocha/buttercup, cut into cubes. Leave skin on – it is very nutritious and will soften when cooked. Place in a steaming basket over boiling water and steam for 6-10 minutes, until soft. Serve cubes drizzled with a little butter/oil if desired, or place steamed cubes in a cup of warm miso or broth for a simple yet satisifying naturally sweet soup. Mash roasted root vegetables with a potato masher or in a blender or food processor. Place roasted root vegetables in a blender or food processor with desired amount of broth. Blend until smooth, adding more broth as necessary to reach desired consistency. Transfer to a pot and heat over medium heat until warmed through, seasoning to taste with additional salt, pepper, and desired seasonings. Heat oven to 375º F. Wash fennel bulbs, removing stalks, and slice into thin wedges, and place on baking sheet. Drizzle with olive oil, and place in oven for 30 minutes, flipping fennel after 15-20 minutes. Bake until golden and soft, then serve. how about treating your spleen to the delicious azuki bean? optional: 1/4 tsp cayenne pepper, if you like it spicy! Place all ingredients in blender or food processor and process until smooth. Add a little broth, water, or bean cooking liquid as necessary if mixture is too dry. Serve with raw celery, kohlrabi, or carrot sticks. The great thing about food therapy is that you can make these choices for yourself at home, cheaply and easily. You can experiment with dietary principles without any harsh side effects, assuming that you avoid foods you are allergic or intolerant to. And you have to eat anyway, so you might as well make it worth your while and get some medicinal effect out of it! By supporting your spleen with grounding, stabilizing food choices, you just may help reduce other symptoms too. I know I have found principles of Chinese dietary therapy to be helpful when making food choices in my own healing journey, and I hope you do to! Flaws, Bob. The Tao of Healthy Eating. Boulder: Blue Poppy Press, 1998. Beinfeld, Harriet. 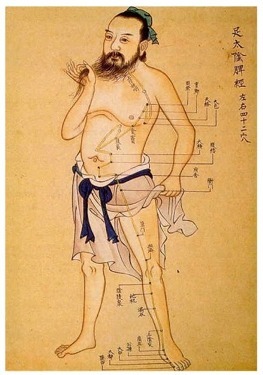 Between Heaven and Earth: A Guide to Chinese Medicine. New York: Ballantine Books, 1991.